The Ministry of Police (M.O.P.) spent more than $100,000 on vehicle repairs between 2012 and 2016. 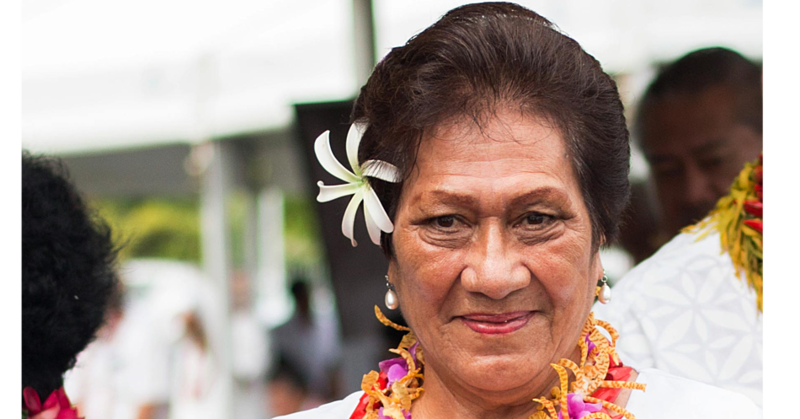 This is according to the Samoa Audit Office Report on Irregularities presented to Parliament. The Ministry recorded the highest number of irregularity reports, with the bulk of them involving car crashes and damaged vehicles. 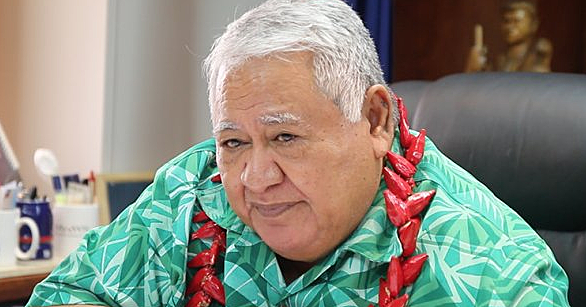 Asked for a comment, the Chief Executive Officer of the Ministry of Finance, Lavea Tupa'imatuna Lavea, said there is an explanation for this. “In their line of work, they are exposed to so many risks hence they have the most irregularity reports in all of Government,” he said. “Put it this way, when they respond to calls, when they’re are on the road all the time, the chances of the vehicles being damaged is very high. “If you are hanging out at Mulinu’u and something happens, who do you call for help, the Police? And so when they respond there is a chance their vehicle may get stoned by people upon arrival. 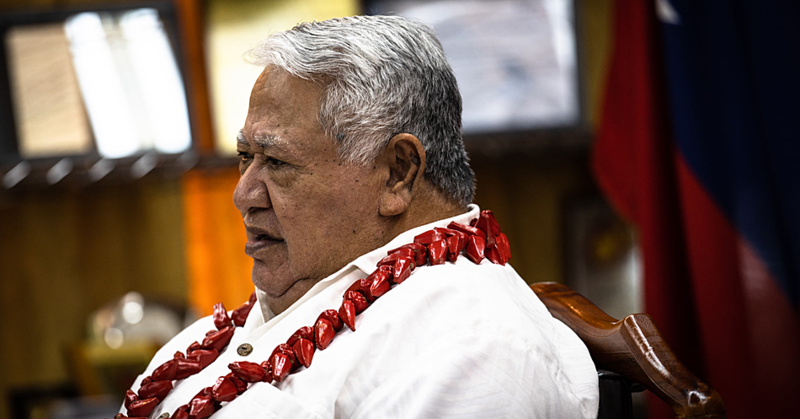 “Look at what happened in Lutuanu’u. For the 2012-2013, 21 irregularities reports of Police vehicles and funds spent range from $250 to $3,805 for repair. One reported on 12 September 2013. “The Police officer used the vehicle for personal matters without authorisation, at the time of the incident. “He hit the rear right side of a private vehicle and damaged the left front fender, front bumper and head light of POL34. The vehicle is insured at Progressive Insurance. The Police officer has privately paid for the cost of damages to the private vehicle. “Ministry of Finance (M.O.F.) recommended that a proper authorisation should be made to authorise officers to drive the Ministry’s vehicle. “The driver should be warned for using the vehicle unauthorized and for not exercising due care in handling government properties. The Ministry will pay for the full cost $3,805 of repair but the driver will recover it by deducting $50 from his salary per fortnight. The Ministry should document an official vehicle use policy and conduct a training for all officers including the penalties and consequences of unauthorized use of vehicles,” says the report. direction and came close to the police vehicle with an open back door, scratched the right rear side of the police vehicle. The vehicle was insured. Another case was damages to a Police motorcycle back in 2014 where an estimated amounted of $500 for parts and repairs. “This was reported on 3 March 2015, almost 10 months after the accident. Due to the rain, the motorcycle slipped and crashed off the side of the road when the officer reached the four corners at Matatufu, causing damages to the steering wheel and front side. POL24 was insured and the insurance provider will cover cost of damages. “Action taken M.O.F. recommended that the Ministry should pay the excess fee, with the driver to recover the total costs through payroll deduction of $30 fortnightly until the full amount is recovered. Around 17 October 2014, $3,600 was allocated for damages to POL52. This was reported on 18 November 2014, a month after the accident. “Damages to POL52 were caused by a horse running directly to the moving vehicle and into the front which caused damages to left headlight, left fender, bonnet and left side of the vehicle. “POL52 was insured and the insurance provider will pay for damages with an excess amount of $500 to be paid by POL. Another case damages to vehicle POL29 on 14 November 2014 for parts and repairs was estimated at $1,000. “This was reported on 17 November 2014. The vehicle went around the town clock heading to Matautu when a bus hit its rear left side and caused a dent. Another case of damages to government vehicle POL47 was on 26 February 2015 where $4,439 was for vehicle parts and repairs. “This was reported on 13 April 2015, 32 days after the accident. POL47 was driven by the designated driver, travelling from Alafua to Faleasiu to drop off the late shift at around 11.30 pm. 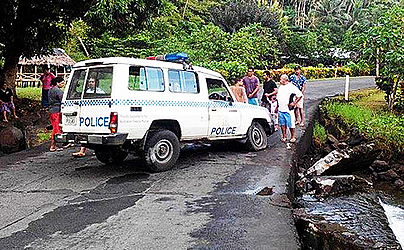 On his return, a pig immediately crossed over the road at Saleimoa, colliding with the vehicle POL47, hitting the side of the bumper leaving the vehicle with damages. POL47 is insured. “Action taken M.O.F. recommended that the Ministry pay for the excess fee of $500 since the accident involving POL47 was not in any way intentional. The Ministry should not refer the vehicle to the mechanic until the investigation has been completed. All IRs should be signed by the Commissioner and submitted immediately to the C.E.O. of the Ministry of Finance and also for police investigation,” says the report. Another irregularity report indicates the damages to government vehicle POL37 on 22 March 2015 and the cash value of repairs and parts amounted to $2,334.50. “This was reported on 14 October 2015, 205 days after the incident. POL37 was assigned and transferred for use by the Ministry’s K9 unit. The vehicle was supposed to be inspected for any damages during the transfer but it was not. The next day following the transfer of POL37 the transport officer noticed a crack on the windscreen as he was to take the vehicle for refilling. The person responsible for damages to POL37 is unknown. “Action Taken Ministry of Police should pay the excess fee of $500 to the insurance company to cover the cost of repairs since the responsible person for damages caused to POL37 is unknown. M.O.F. recommended M.O.P. to give a stern warning to the transport officer for not carrying out his responsibilities and duties as a Transport Officer with regards to the inspection of vehicles when transferred back to the main office,” says the report. Another incident of damages to government vehicle was on POL45 on 20 April 2015 where $11,800 was the value of repairs and parts. “This was reported on 9th June 2015, 35 days after the incident. POL45 was driven by an authorized driver, travelling from Leulumoega Hospital heading towards the Faleolo Police Post. “A private pick-up was coming from the opposite direction on the wrong and same lane as he was travelling on. “He beeped the horn and the pickup approached closer resulting in a collision, which caused severe damages to the frontage, bonnet, head lamps, front bumper, radiator and front windscreen. “The third party driver was confirmed to be driving under the influence of alcohol and appeared in the District Court facing eight charges of negligent driving causing injury. POL45 is insured. Damages to government vehicle POL64 on 31 July 2015 where $2,520 was spent for vehicle parts and repairs was reported on 7 September 2015, 26 days after the incident. POL64 was assigned to the Dog Management Unit (D.M.U.) at Vaitele and was driven by an authorized driver, through the Dog Management Unit’s gate for ordinary schedule. As it reached the gate, it suddenly knocked down and hit the left side of the vehicle from the front door to the rear fender which left the POL64 with scratches on the affected parts. The incident was confirmed to be unintentional and was not foreseeable as the gate was worn out and it was supported by weak chains as the locks were damaged. Action Taken The Ministry of Finance recommended that the Ministry should pay the excess fee of $500 to the insurance company since the cost of repairing the vehicle has already been paid by the insurance provider.” Another incident on 12 August 2015 where POL03 was damaged and repair was valued at $9,450. “This was reported on the 14 October 2015, 57 days after the incident. “This was reported on 18 February 2016, 31 days after the accident. by the authorized driver and accompanied by one of the police. side and the windscreen of POL21. Action Taken Ministry of Police recommended that the Ministry should pay the excess fee of $500 to the insurance company while the driver recovers this cost through payroll deduction of $20 fortnightly until the full amount is recovered fully. Ministry should sternly warn all drivers, including the negligent driver to exercise extra care, alertness when handling Government vehicles. Another report occurred on 16 January 2016, where an estimated amount of money used to report and parts amounted to $6,230 as a result of police vehicle being stoned by Maagiagi youth. “This was reported on 28 January 2016, POL12 was driven by one Sergeant and they attended a call from the N.U.S. regarding a brawl between teenagers of two dancing groups at the N.U.S. gym where the finals for Samoa’s Best Dance Group was held. the left hand side window, slide window, headlamp and side mirror. stop to find out due to safety reasons. repaired prior to the completion of the investigation. “They should have chased and traced the suspected youths responsible at the time of the incident and in the next morning for costs recovery. In any case, Police force has the ability and expertise for tracing criminals. “The accident occurred at Vaitele where a private vehicle crashed into the front right side of POL07 causing damages to it. In March, 2016, POL3 was damaged and $11,940 was allocated for parts and repair of the Police vehicle. “This was reported on 18 April 2016, 27 days after the accident. attending an official matter at Nuu around 11pm. “Damages were the side mirror, headlight assembly, front bumper, fender, knuckle arm, lower and upper arms, rim and tyre as well as the broken windscreen. POL31 is insured and the excess fee of $500. The driver of the private vehicle was under the influence of alcohol and was charged accordingly. (driver of the private vehicle).” Another incident occurred in April, 2016 where $7,270 where POL49 was driven by a Constable, accompanied by one staff member patrolling on an early Sunday morning at Siumu. A private car crashed into POL49 causing damages during patrol on their way back to Poutasi outpost. “POL49 sustain damages to the fender, side mirror, head lights, front bumper lower and upper arms, knuckle arms, sway bar, tie rods, cv joints and brakes. POL49 is insured.